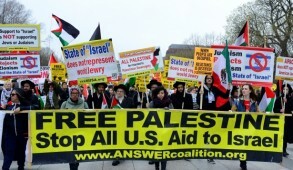 The collapse of the Palestinian initiative to achieve unilateral independence and the widespread consensus within Israel concerning the principal threats confronting us, have deeply frustrated marginalized far left groups. Their response has been to launch a global campaign portraying us as a State losing its democratic ethos and adopting fascism – a theme eagerly endorsed by much of the Western media. The religious zealots, whose revolting behavior towards women dominated the Israeli media over the past month, are portrayed as harbingers of a medieval theocratic State. Most of the media ignored the fact that the President, Prime Minister and the vast majority of the public, including many of the ultra-Orthodox and their rabbis, vigorously condemned the behavior and demanded prompt action to punish the hoodlums with the full severity of the law. 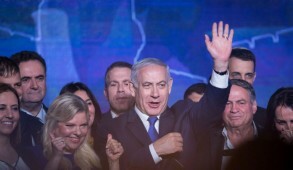 Another cynical spin to discredit democracy is the suggestion that the government’s reluctance to subsidize a bankrupt TV channel represented an effort by Netanyahu to restrict freedom of expression and take control of the left leaning media. The legislation relating to NGOs currently under review in the Knesset has also been distorted and presented as a conspiracy to deny freedom of expression. Yet there are genuine grounds for remedial action to minimize the harm NGOs inflict upon the State. It was only after the publication of the Goldstone Report that Israelis became aware of the full extent to which some of these organizations, purporting to promote human rights, were even instigating global campaigns to boycott, divest, and delegitimize their country. What particularly infuriated Israelis was that some NGOs are funded (usually furtively) by foreign – often hostile – governments, to the tune of nearly NIS 30 million per annum. Organizations like B’Tselem and Breaking the Silence which receive respectively 62% and 73% of their budgets from foreign governments, frenziedly demonize the country. Lizie Sagie then a senior representative of B’Tselem, in her blog, went so far as to accuse Israel of “devotion to Nazi values” and “committing humanity’s worst atrocities”.The outrage generated by her remarks obliged her to resign from B’Tselem. It is surely inconceivable for a democratic country under siege to tolerate organizations, funded by foreign governments, engaging in unbridled defamatory campaigns which seriously damage national interests. That is not to dispute that there are legitimate grounds for disagreeing with some aspects of the proposed draft legislation which could be deemed discriminatory. However, the legislation that will be passed is likely to be non-discriminatory, modeled along similar lines to the NGO Funding Transparency Law adopted by the Knesset in February 2011. This emulates the US precedent, making it obligatory for all NGOs receiving funds from abroad to register as foreign agencies. That would impose transparency, enabling the government to monitor activity and take action if a NGO breaches the law. If paralleled by diplomatic pressure on foreign governments to desist from interfering in our internal affairs, it would almost certainly neutralize their more nefarious interventions. The most vexatious issue is Israel’s Supreme Court, which many Israelis today regard as elitist and dominated by left–wing attitudes. It is widely recognized that the Supreme Court became excessively interventionist from the time that Aaron Barak served as its president. It abrogated Knesset supremacy in a country without a written constitution, basing itself on a few ambiguous words such as “human dignity” as contained in a Basic Law adopted by the Knesset which failed to anticipate the extent to which it would be abused. 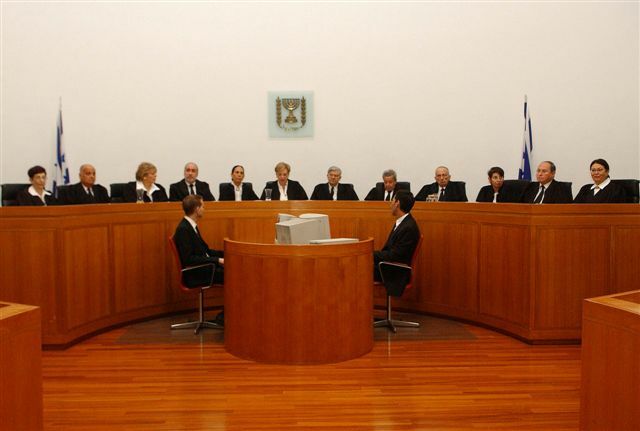 In addition, unlike the US Supreme Court, the Israeli Court usually rejects Government contentions that certain issues should be settled in the Knesset domain. 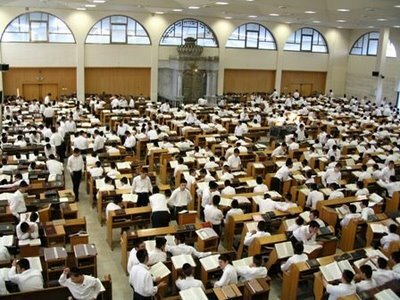 The Israeli Supreme Court also differs from other courts in accepting thousands of petitions annually against the Government or a public servant – on any subject from anyone – with no requirement to show a direct interest of the petitioner to the issue. This reduces time available to deal with ongoing criminal or civil appeals which remain unresolved for years. It is understandable that tensions increase in a climate in which public attitudes are undergoing changes and conflict with the prevailing left outlook of those currently occupying positions on the Supreme Court. 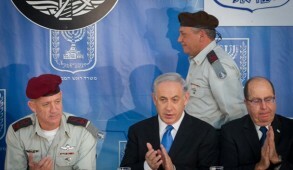 From the perspective of frustrated legislators, the Supreme Court, unlike courts in the US or any other democratic country, is flippantly vetoing the will of the Knesset majority over non-judicial issues, thus ignoring the elementary principle of separation of powers between the three branches of government. This is manifested by the Court frequently intruding in matters which are not a question of law but an expression of political bias. Regrettably, the far-left have succeeded in creating the perception, especially amongst Diaspora Jews, that any reform would breach the fundamental rights of minorities and represent a genuine threat to the democratic ethos of our society. That is ridiculous. There is, at the very least, a desperate need to reform the prevailing undemocratic process for selecting new judges which enables incumbent judges to effectively veto a candidate for any reason. For example, in 2005 Ruth Gavison, an outstanding candidate, was blackballed by the then Supreme Court President Aaron Barak, who claimed she had an “agenda” – i.e. she lacked the “progressive” outlook of other members of the Court. 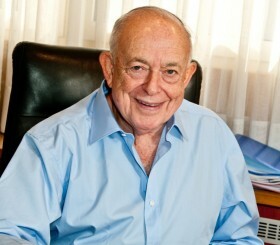 More recently it was reflected in a negative attitude displayed towards the candidature of Judge Noam Solberg (who was subsequently elected, but only as a result of unseemly horse-trading) because he is a “settler” living in Alon Shvut and had therefore been depicted in the media as “right wing”. The current system ensures the perpetuation of the prevailing ideological composition of the Court, denying entry to candidates with different social and political outlooks. Dispensing with such a veto democratizes the selection process and avoids discrimination. Despite its weaknesses, the US system is far more democratic, avoids judicial cronyism, and ensures that the composition of the Court reflects changes in public attitudes. Candidates for the US Supreme Court are nominated by the President and undergo parallel congressional scrutiny and those with questionable or controversial backgrounds are excluded. The Prime Minister should ignore the political diatribes of Supreme Court President Dorit Beinisch who described proposed amendments as “inciting against the judges” and an effort to destroy “the democracy upon which our society stands”. There is no other High Court in the Western world in which sitting judges are able to effectively veto candidates who may not share their views. Even though public pressure resulted in a more balanced selection of judges this time, Netanyahu should proceed with reforms to democratize the selection process of judges. Once implemented, the Supreme Court will begin to reflect the changes within society without compromising its judicial role. In the broader context, Prime Minister Netanyahu should not allow himself to be intimidated by those falsely portraying themselves as guardians of civil rights. They are merely attempting to forestall a genuine extension of democracy and should be exposed as hypocrites and purveyors of Orwellian double-talk. 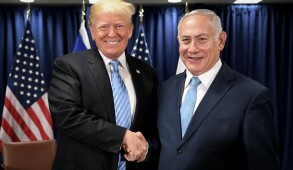 We should take great pride in the fact that despite being the only country in the world facing continuous existential threats from its neighbors, Israel is and will remain an oasis of thriving democracy in a cruel region in which autocracy, denial of human rights and Islamic fanaticism are the order of the day. In fact, the statements referred to above were made by a former senior officer of B’tzelem, Lizie Sagie, in her personal blog and her statement was not related to Breaking the Silence. 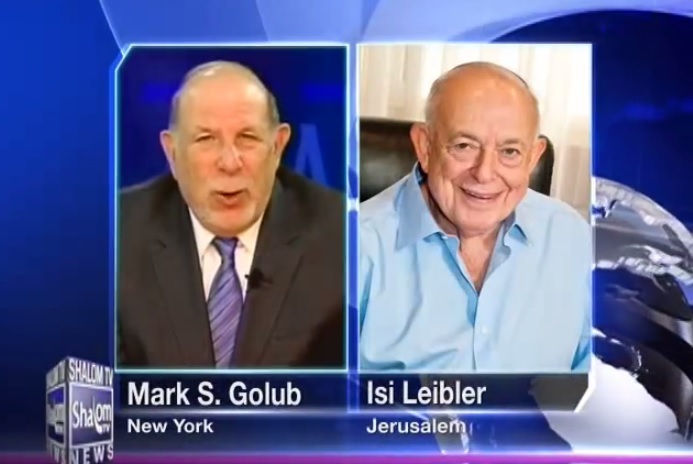 In addition when the statements of Sagie were publicized , she was obliged to retire from her senior role as Communications Director at B’tselem.